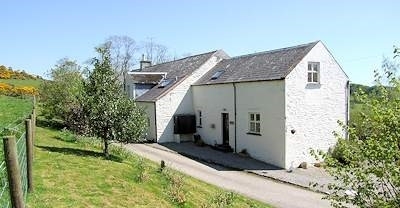 Enjoy a superb self-catering holiday at Airds Farm. Leave the crowds, traffic, pollution and stress behind and re-invigorate your life with a long or short stay in our comfortable cottage. How about a winter break? Enjoying the outdoors is possible except in the most extreme weather (rare in this coastal south-westerly location). Winter days are crisp and bracing and the landscape has its own special beauty. A walk in the Galloway forest, or one of the well-marked local trails will feed your soul. Back to the warmth and comfort of your holiday home for a well-earned meal and relaxing evening. Clear nights are great for star-gazing. If you're used to town life you'll never have appreciated how bright with stars the night sky can be. You may even see a meteor streak across the sky! The self catering cottage can also accommodate a maximum of 2 well behaved dogs for a small additional fee, please contact us before booking. All power included in price but heating oil is extra, charged at current rates per litre by meter. From A75(T) from Gretna (east) or Stranraer (west), take A713 (Ayr) turnoff adjacent to Castle Douglas. Continue towards village of Crossmichael (3 miles). After leaving village farm turning (signed) is about 500 metres on right. Follow tarmac farm road to end (1/2 mile). From the nearest information centre:- From Castle Douglas TIC, turn left into King Street, continue to junction at clock tower, turning right into A713 (Ayr) road. Continue out of town and on to village of Crossmichael (3 miles). After leaving village farm turning (signed) is about 500 metres on right. Follow tarmac farm road to end (1/2 mile). Getting there by railway:- From Dumfries rail station bus service is available to Castle Douglas. A taxi from the town is convenient and inexpensive, though an infrequent bus service does run to Crossmichael. Getting there by ferry:- From Stranraer take the A75(T) towards Gretna, then follow directions shown above by car. We can arrange breaks for the coarse sea or game angler. Secure store area is available next to our drying room which will accommodate your tackle if you require it to be left at our premises. We can provide packed lunches and dinners by arrangement. Loch Ken and the river Dee are very popular with coarse fishers. Bream and very large perch are frequently caught but the water is better known for its Pike fishing, and fish over twenty pounds are caught regularly with the odd thirty pounder not uncommon. Large brown trout can also be caught when conditions are right. Boats are available locally which can accommodate two fishers. These are supplied with an outboard engine, petrol and an anchor at very reasonable costs. Permits are not necessary when hiring a boat. The famous Balcary point is not far away for the hardened winter fishermen who wish to catch large cod from the shore at this time of year. Excellent shore fishing can be had around the beautiful Solway coast most seasons, and if you are new to the area we can supply a detailed map of locations, times and species expected to be caught if necessary. Sea boat angling can also be arranged from various ports on the coast - we are situated centrally to these ports and most are within a twenty mile drive, making Airds an ideal location. There are many well known salmon and sea trout rivers available within a short distance of Airds. 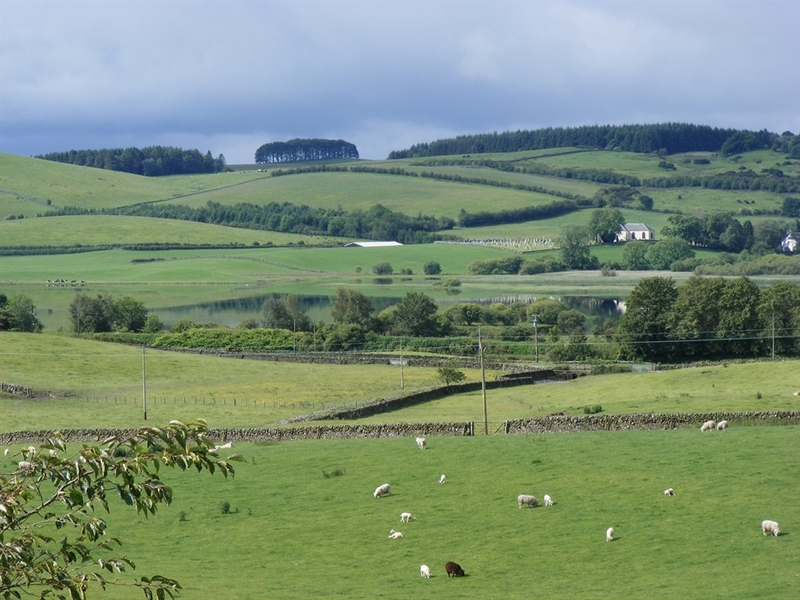 These, along with the multitude of trout lochs, make Dumfries and Galloway an ideal location for the keen game angler. Take advantage of our special breaks specifically intended to attract shooters. We are aware there are few farm accommodations that can cater for the shooter in the area therefore we have securely fitted three, 2/3 gun storage safes in our secure storeroom. The keys for your particular cabinet will be yours for the duration of your stay and this facility will incur only a small charge. These are offered to shooters who wish to stay with us and enjoy the various forms of shooting available in the locality, with the knowledge that their guns are safe and secure whilst they relax. We realise that most shooters prefer to have their own dogs with them so have made comfortable kennels available for those shooting persons who wish to bring their dogs. We also have an outside drying room available for any wet clothing if the weather should turn nasty . We can also provide packed lunches and dinners by arrangement. Shooting supplies will be available at our Country Sports Store (unfortunately gun and cartridge sales are not available). The store which is due to open on site at the end of September will cater for most anglers, hunters, dog owners and shooters' needs.